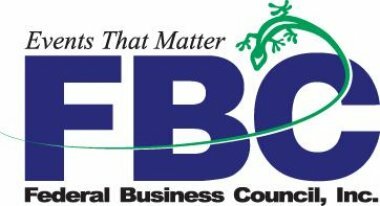 PDS will be an exhibitor at the Federal Business Council's Technology and Cyber Security Expo Day taking place at the Mountain View Club located on KAFB in Albuquerque NM. PDS is a contract holder of multiple federal, state and local cooperative vehicles suited for your procurement ease including multiple GSA schedules, New Mexico State Price Agreement, NM Cooperative Educational Services contracts. PDS will be 1 of 2 exhibitors at the NM City Management Post Budget Workshop taking place at the St Francis Hotel in Santa Fe NM. PDS is a contract holder of multiple federal, state and local cooperative vehicles suited for your procurement ease including multiple GSA schedules, New Mexico State Price Agreement, NM Cooperative Educational Services contracts. PDS will be at the New Mexico Municipal League’s Muni Court Clerks conference taking place at the Albuquerque Sheraton Uptown in Albuquerque, NM. PDS is a contract holder of multiple federal, state and local cooperative vehicles suited for your procurement ease including GSA schedules, New Mexico State Price Agreement, NM Cooperative Educational Services contracts. PDS will be an Exhibitor at the New Mexico Municipal League’s Clerks & Finance Officers Spring Meeting taking place in Las Cruces, NM. PDS hold multiple contract / cooperative contracts available for state, local and federal governments to utilize. Local vendors will meet with procurement personnel of the Greater El Paso Area's School Districts and learn about upcoming business opportunities. PDS holds multiple cooperative contracts including Region 19 Allied Services Cooperative Contracts, Texas DIRs, Texas BuyBoard, New Mexico Cooperative Educational Services contracts, and federal GSA (General Services Administration) contracts.